Increase traffic to your listing with Auctiva's FREE Scrolling Gallery. 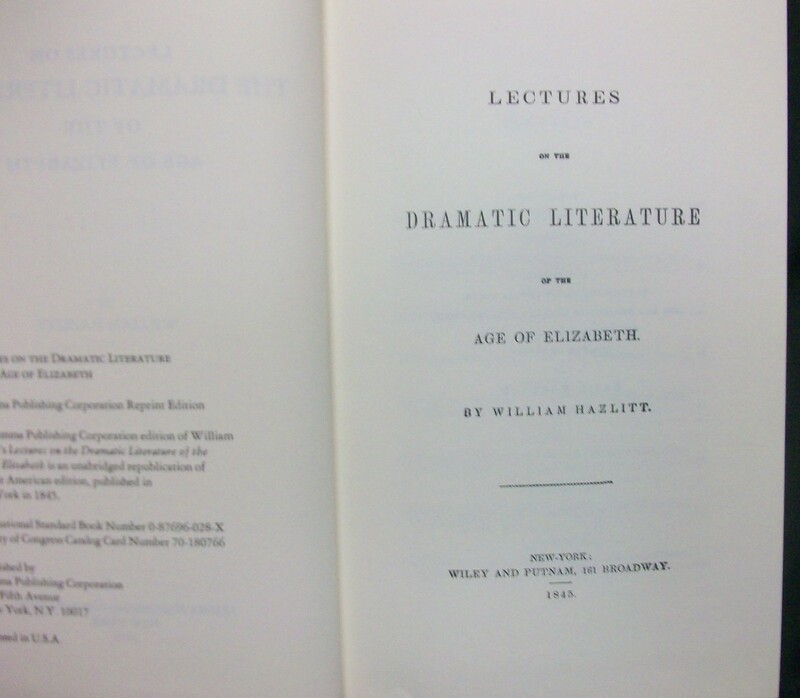 Lectures on Dramatic Literature of Age of Elizabeth Hazlitt William Lemma Pub, 1972, ISBN:087696028x Hardback in good condition. NO dust jacket. Text is clean and unmarked, binding tight. Cover is very clean. This is a reprint of the 1845 edition published by Willey and Putnam. There are eight lectures starting with Shakespeare and going through Bacons, and Jeremy Taylor. These lectures were originally delivered in 1818. Powered by Turbo Lister The free listing tool. List your items fast and easy and manage your active items.